"I feel like the internet is WAY to full of "perfection" (perfect insta photos, perfect lives, which leads to comparison and feeling alone and I'd like to change that. If i can change the way people think about mental illness along the way too, that would be amazing!!" Hi! 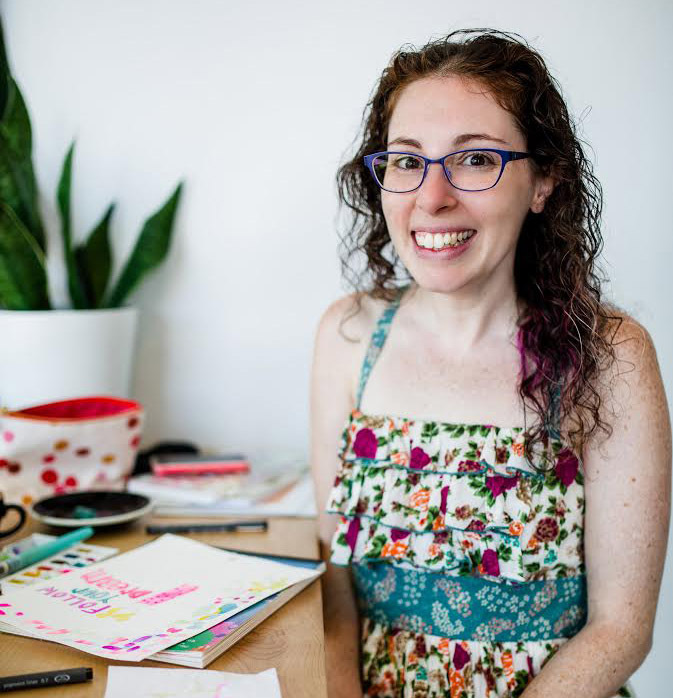 Welcome to Rainy Day Diaries, an imperfect podcast that will dive head first into how YOU can thrive in your creative life (and business) even if you struggle with mental wellness. I'm your host Jenipher Lyn! I'm an illustrator, author and a new mama with a full time heart to encourage others. I love animals, petting flowers and mocha lattes. As a long time struggler of anxiety and depression, I hope this podcast will help you realize you can still thrive in your life (some of the time lol) when you deal with these things on a daily basis. That you're not alone, and that falling down does NOT mean you won't get back up again! Enjoy the latest Episodes below, or on the blog!